Oh yea! It's going to be camper week next week. I am super excited. Sometimes I feel like I live a double life because I have to work on projects that you don't get to see until finished. Other times, I wish I showed you more of what I was working on but I just get going and forget to snap photos. But next week things will be different, I am declaring it Camper Week. Why you ask? 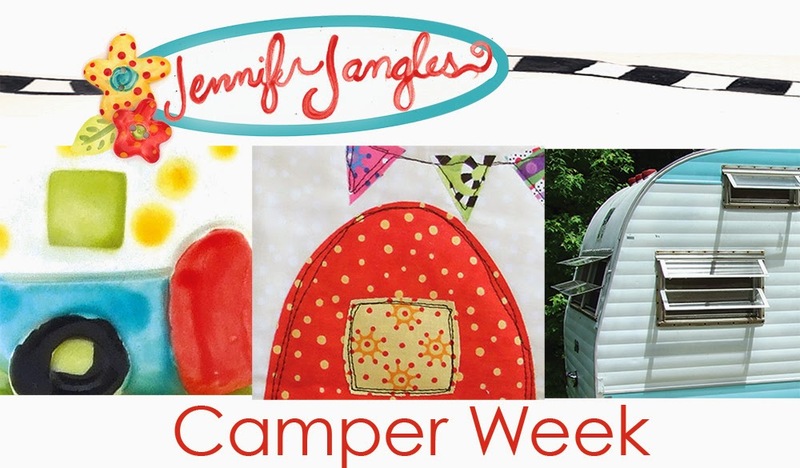 First, I have been working on lots of new goodies and projects that involve campers. I have them all finished up and I am going to introduce these new goodies next week. Second, as you know I am re-doing a vintage camper. 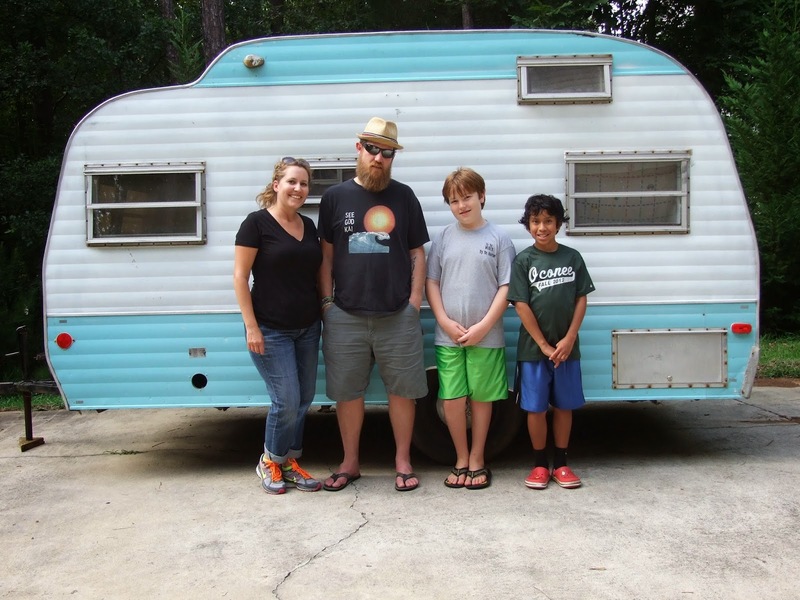 We've got a test run of the camper coming up and "Lucy" the camper needs to get finished. Third, I just really like to have theme weeks, call me crazy, but remember snowman week in the fall? A little more on my second reason... Lucy needs to get finished. We really thought that we would be taking her on a test run over Christmas break, ha! One thing I have learned about restoring a vintage camper, everything takes longer than you think. The whole reason we are restoring the camper is to take a month long trip out west this summer. Summer is coming and the camper is still without a ceiling or lights and we can't make the first trip a month long one, we've got to know what we need, what to change, and most importantly how to pull her. I'll give you the full recap on Monday but I will also be taking loads of pics as we work on her all week long to get her ready to go. Now my plan could all derail quickly because the camper is at a local camper shop getting the plumbing, wiring/battery system, and new tires. They think they will be finished tomorrow but it's taken longer than we planned to get it back. I think they found they same problem as we did, everything takes longer with a vintage camper. So if everything goes well on their end and we have Lucy back and camper week will go on with a hitch, (get it a camper needs a hitch).